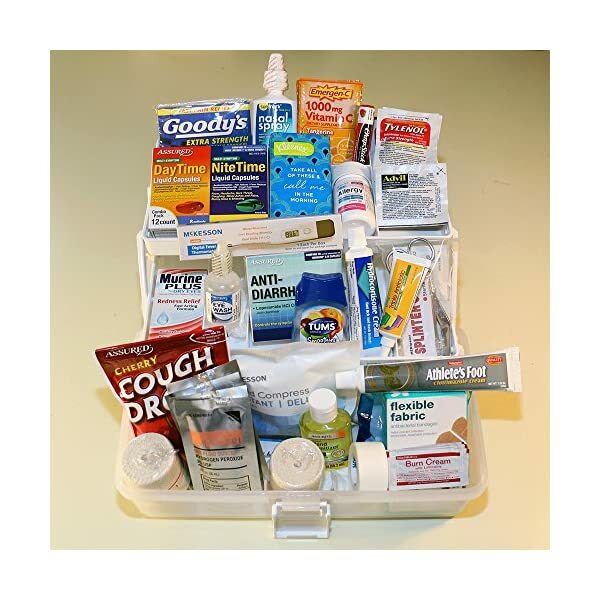 MEDICAL SURVIVAL KIT - Our high quality survival kit ensures safety and quality standards, we made it a priority to have our packs made in an FDA approved facility. You never know when an emergency may occur. Our IFAK survival kit can be used at home or away, or traveling or not. Having an essential survival kit is necessary. 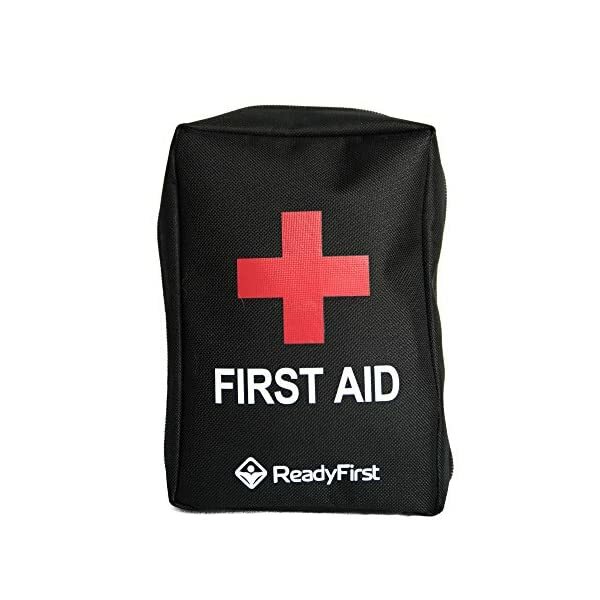 By having the best first aid option ready and available. 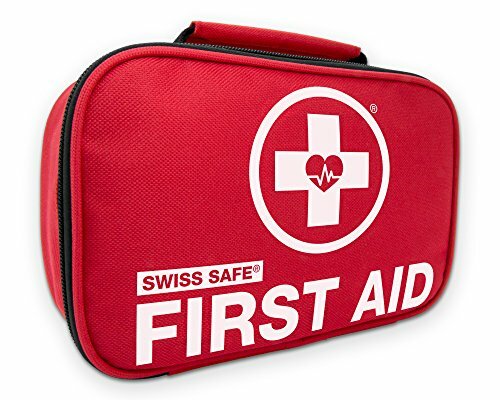 Our all purpose first aid kit will come in handy for you, your family and friends. 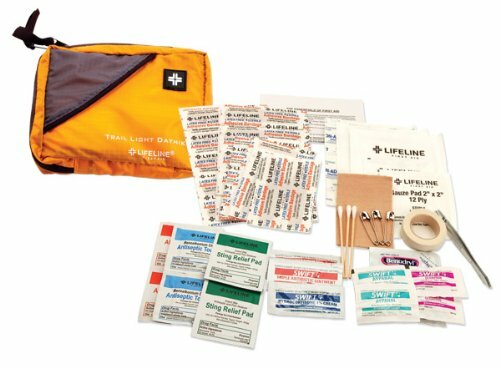 COMPLETE FIRST AID KIT ITEMS - A 24 hour emergency kit that comes with all of the critical survival items aside from fire and water. Get the attention of people from far away with the whistle. Always know your direction with the compass. Stay warm with the emergency blanket and take out any splinter with the tweezers. 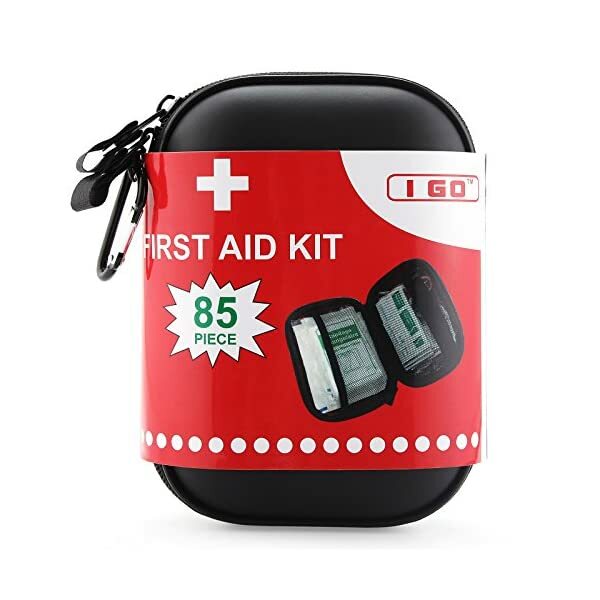 This emergency medicine kit includes 95 pieces but also has available room to spare so you can put your own items into your lightweight first aid kit. 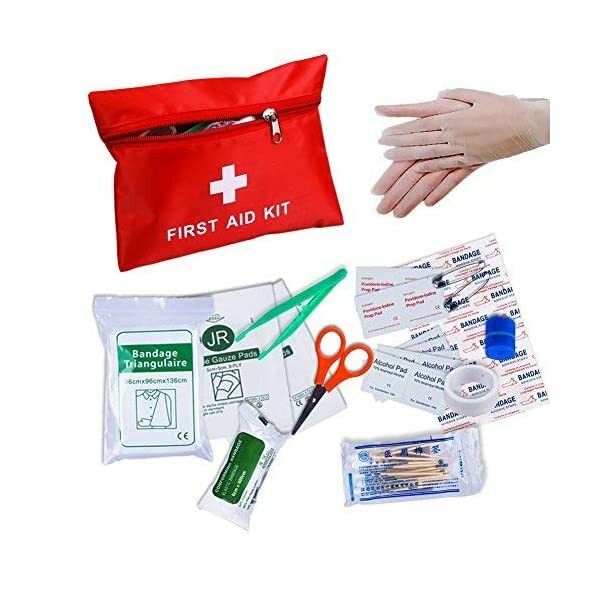 ALL IN ONE EMERGENCY KIT - Have all of the quality first aid materials you need in a compact, well-organized medical kit, which makes a great roadside emergency and portable kit. Built with 600D Oxford thick densely woven cotton cloth, strong & resilient. Our ultimate survival kit was designed for you to find what you need in a hurry. The Best survival kit around and it comes with everything you need to disinfect and bandage a wound quickly. 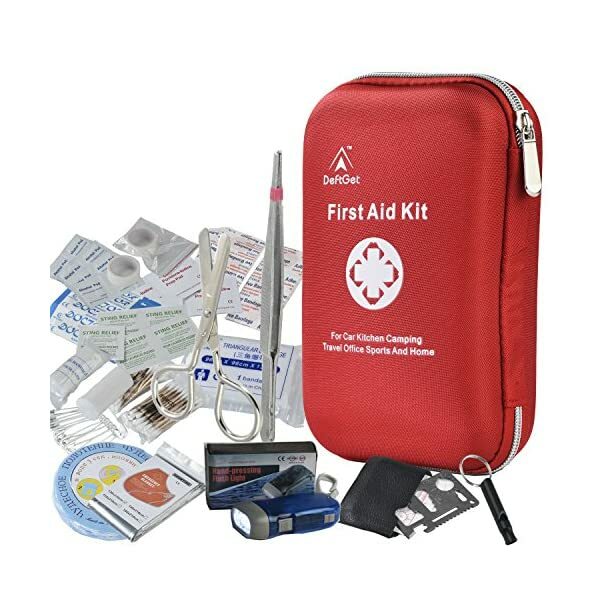 ★ NEW & UPGRADED IN 2017: 2-in-1 Premium First Aid Emergency Kit comes with 120 medical grade items in a compact, flexible, durable design (size 9x3x6"), weighing only 1.2 pounds. 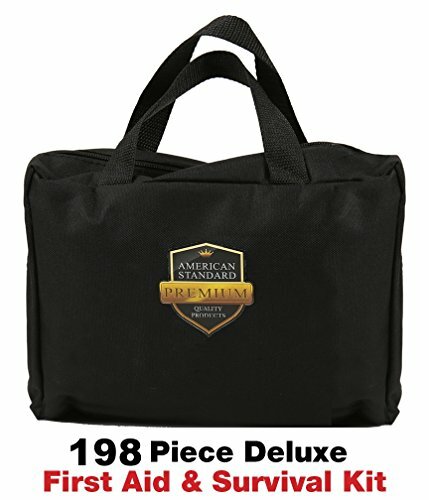 Includes Stainless Steel Trauma Shears, Instant Ice Pack, Survival Tools, PLUS, comes with additional 32-Piece Mini 1st Aid Kit. FDA APPROVED: Manufactured from the highest of quality FDA approved facility exceeding safety standards for emergency first aid, for adults and kids. 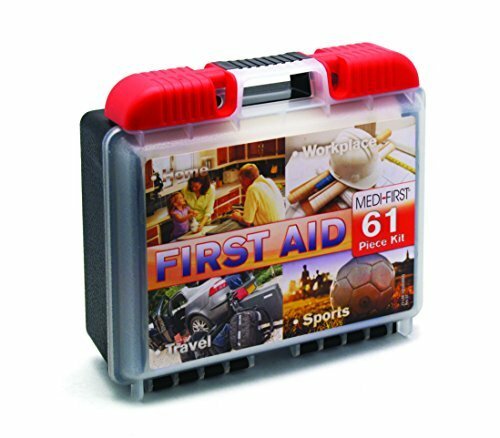 Trusted by parents, students, nurses, hospitals, teachers, doctors, children's daycares, restaurants, preschools, pediatrics, police, emergency responders, EMT's, lifeguards, law enforcement, construction workers, truck drivers, and professional business offices that need to stay OSHA compliant. 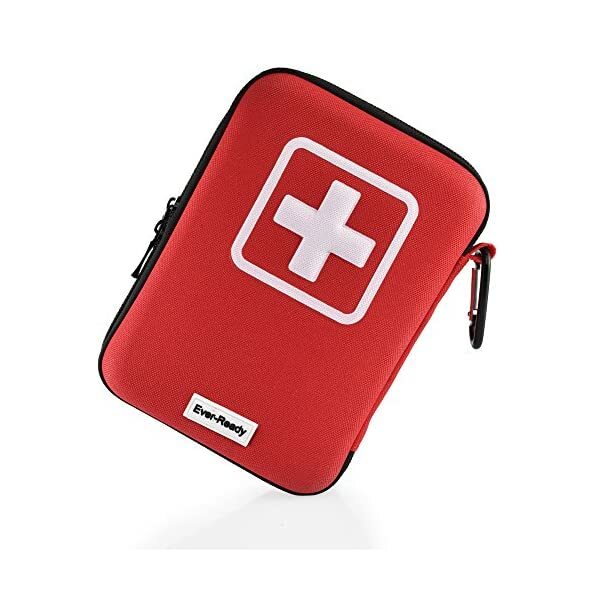 The College Student First Aid Kit- Premium Plus: The Preferred Graduation-Dorm-College gift. Makes College life Healthier, Safer, and Smarter!